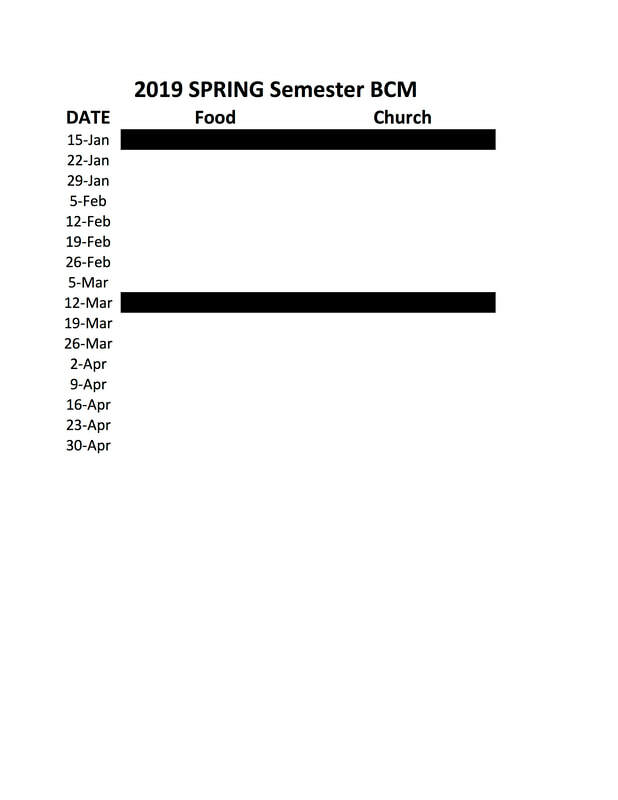 If you or your church would like to sponsor a meal or bring a meal a certain night, check the dates below, and then email david at davidneace@hotmail.com or call (864)933-3864 to solidify your date on the calendar! meals should arrive between 6:45-6:50 for a 7:15 dinner. Once dinner is over, you are free to clean up and head out or you are more than welcome to join us for gathering following the meal!